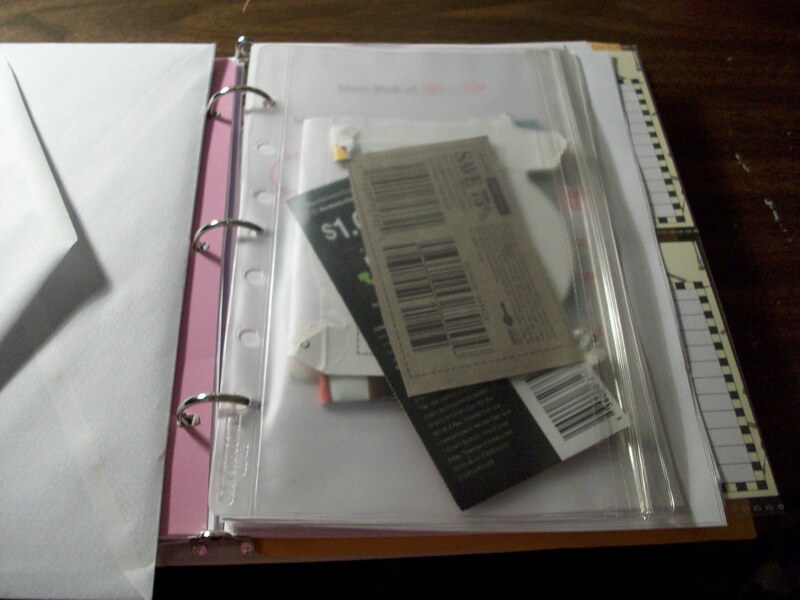 Organization | For the Love of Coupons! Where do I start when I’ve neglected my blog for months? There’s no way I could catch up on everything that’s been going on, so I will just try to stay current. Today is a rare Saturday in which Lance and I are both off. We are spending the day catching up on things we usually don’t have time to do during the week. He is working on editing some things for his job. So far, I have restarted my printer, filed away a whole stack of papers, started gathering everything for our taxes, and started looking through which coupon deals I want to do this week. Later, I plan on putting together a car seat/stroller system so I can make sure everything is there before the return policy expires. (I’m pregnant, by the way. Twelve weeks along.) Lance and I went to Toys ‘R’ Us the other day because I was hoping to score on a good deal for wipes. I’ve been slowly buying diapers and wipes so that when the baby comes I’ll have a small stock and won’t have to worry about that expense for awhile. Anyway, they did not have said wipes, so we ended up looking around for a bit. I could look at baby stuff for hours anytime I go into a store that has a baby section. This day we didn’t have much time. But on the way out the door there were a few clearance car seat systems up front. In addition to being on clearance, there was an additional 20% off, and an additional $20 coupon in their flyer. The deal was too good to pass up. I had planned on getting a gender neutral pattern anyway so that I could use it again for future children and they had a lovely yellow and grey pattern with all the features I was looking for. So, we went ahead and bought it! I’ve also been (slowly, cause I get tired easily now that I’m pregnant) cleaning out my craft room and getting ready to put baby stuff in it. I’m anxious to buy stuff a little at a time so that we can spread out the expense. 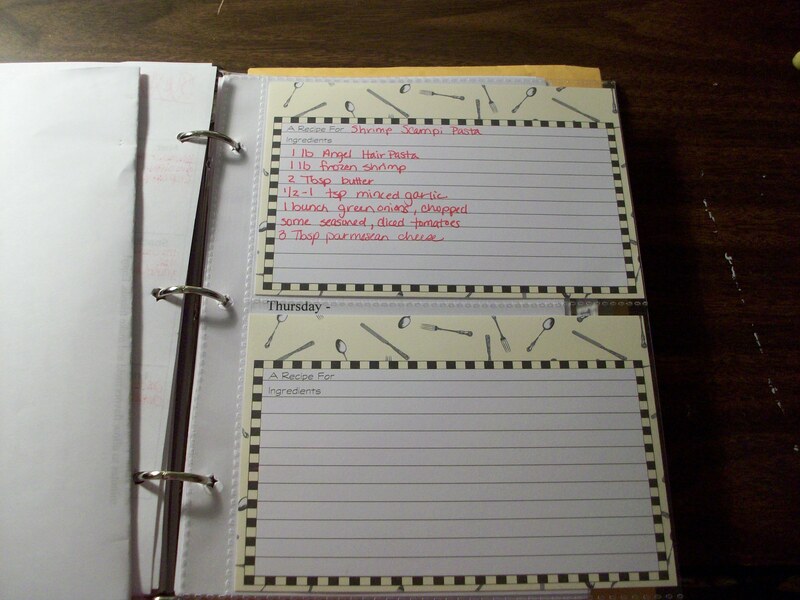 So, I had this little spiral bound notebook that I would write down all the things I needed to remember: bills, grocery lists, weekly menus, etc. I kept it in my purse and the pages would tear and get little bent corners on them. It started to really bug me. 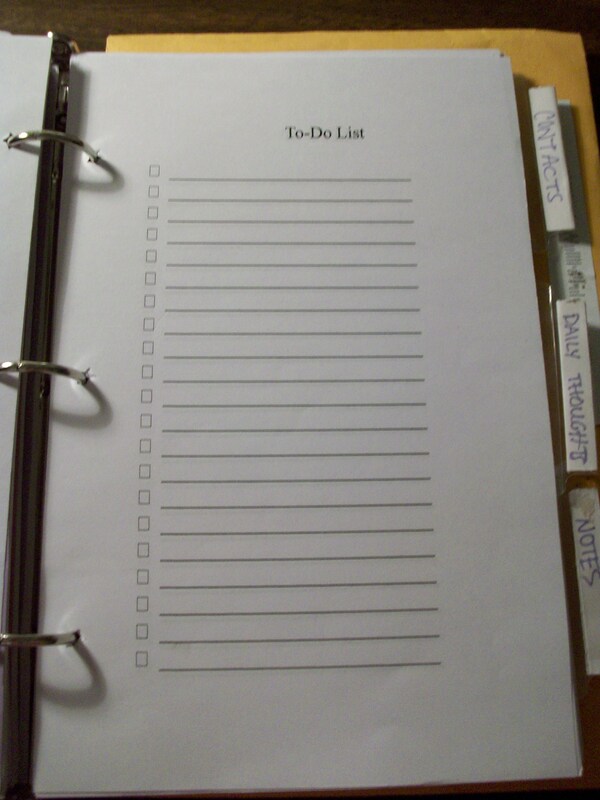 I started searching for a new way to organize everything I needed to keep track of. I couldn’t find any cookie-cutter organizers that would work. There were a few on Etsy that I would have been able to purchase the files and then just print my own pages out. I thought those were too expensive, especially when I could just design my own! 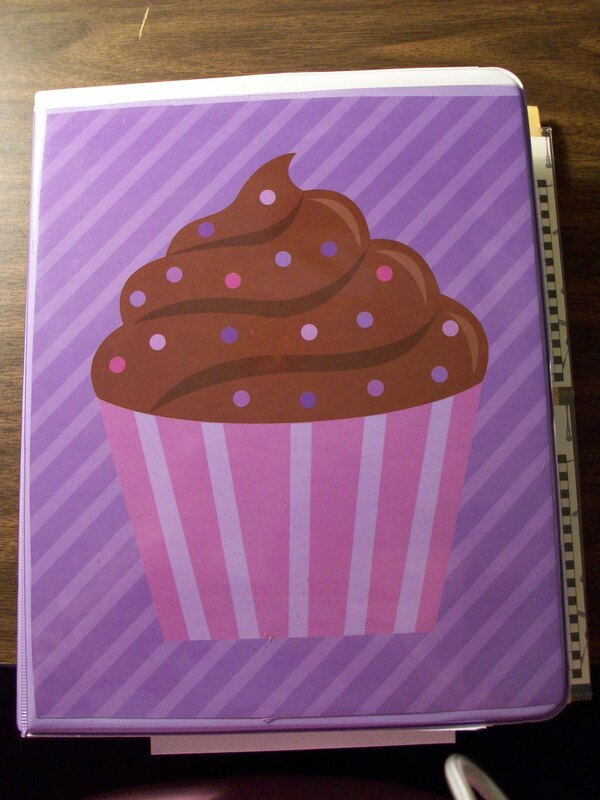 I bought this little 5″ x 8″ three ring binder at Office Depot about 3 years ago, when I still worked there. I used to use it to keep track of my homework in college. 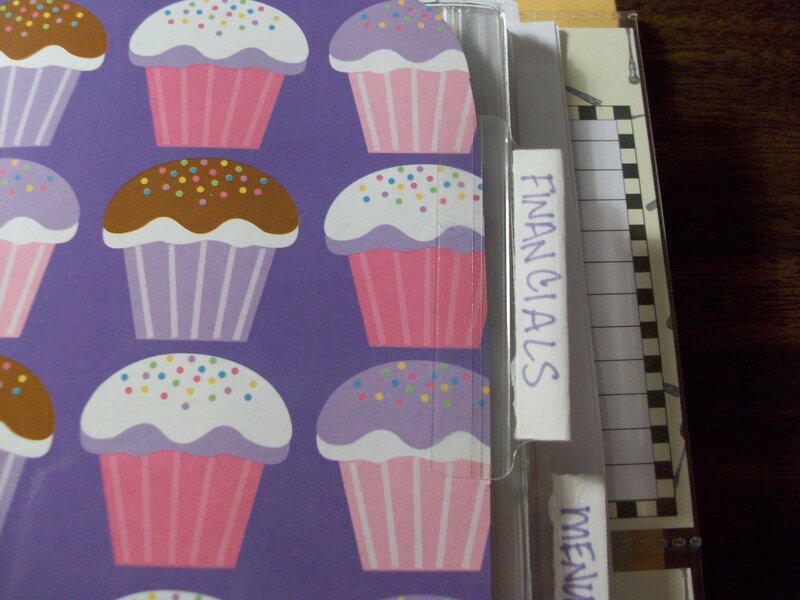 A few months ago, in the Target dollar section they had these little file folder sets that were cute. I got some cupcake ones and some sailboat ones. 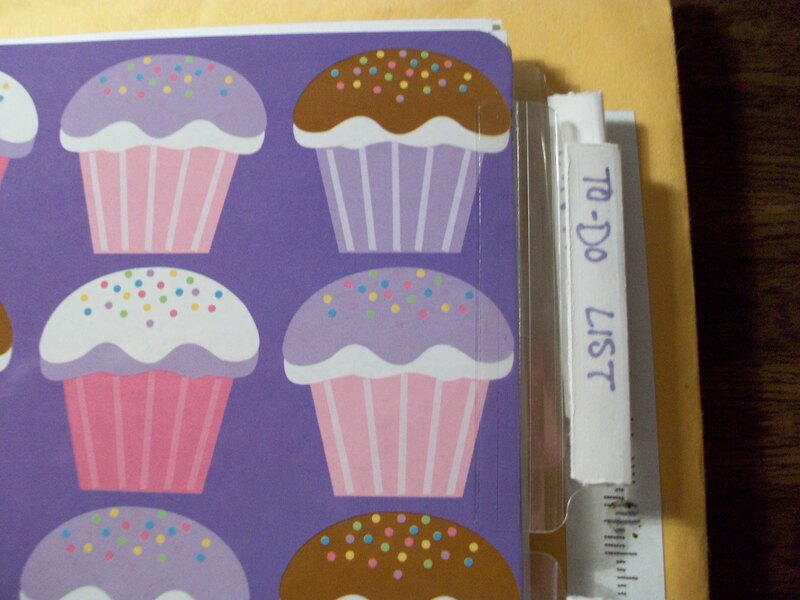 I hadn’t used any yet, and so I decided to use the cupcake ones to design my organizer. In the front pocket of the binder is just a piece of one file folder that I cut out. On the inside front, I hot-glued a piece of ribbon and then attached pens to it with velcro. It’s not the prettiest, but my pens never fall out! The first thing in my organizer is my calendar. 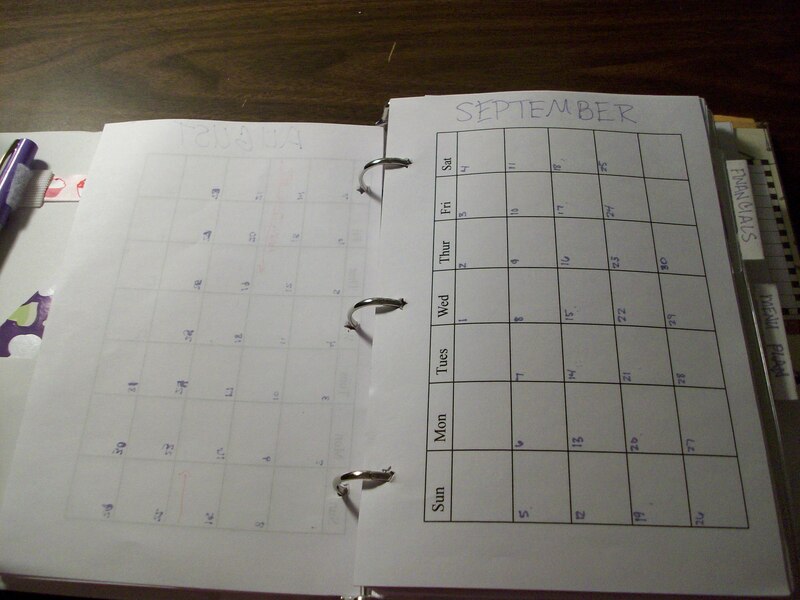 I just made a grid and I write in the little numbers and put the month at the top. This works great for me, because its so versatile with nothing preprinted on the month. 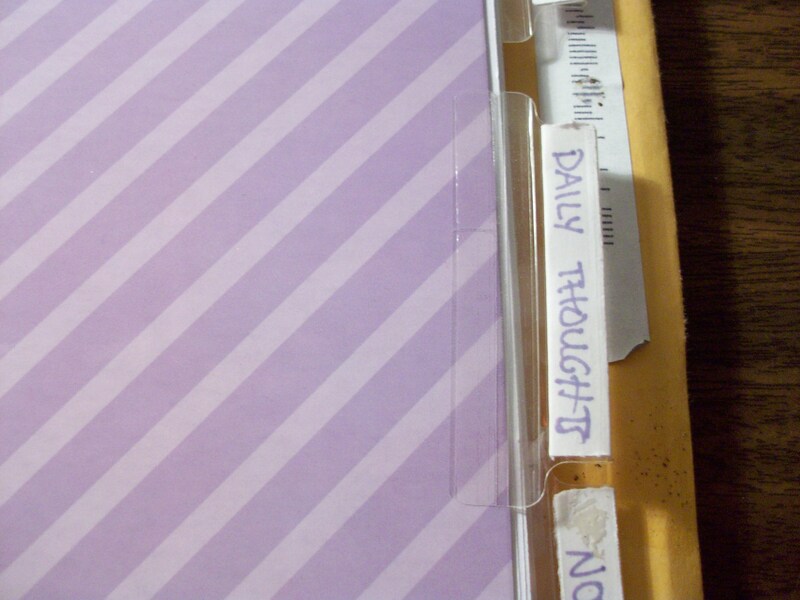 I made dividers for my organizer by cutting the file folders and attaching blank tabs on them. The first section is Financials. In this section I have a sheet with the month at the top, and then three columns: Date, Company, Amount. I write all my bills on one sheet for the month and then check them off as I go. It is really helpful for me to see them all together, that way I am never late and can prepare for what’s coming. 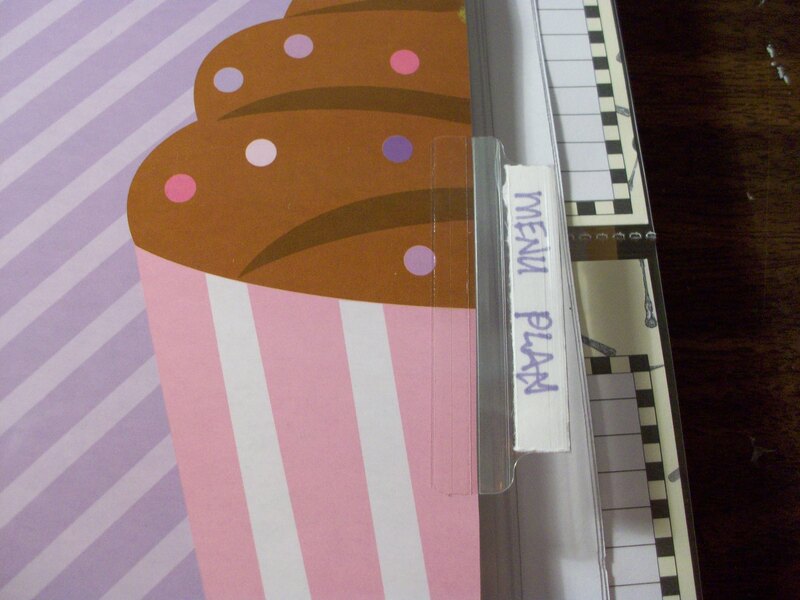 Next is my Menu-Plan section. The first thing in this section is a zip pocket that holds any coupons that I will need when I go grocery shopping. Then I have blank sheets where I write out my menu for that week. Behind my menu, I have my shopping list. I LOVE my new shopping list! With everything divided into sections (frozen, canned, produce, etc. ), it makes shopping so much faster!!! 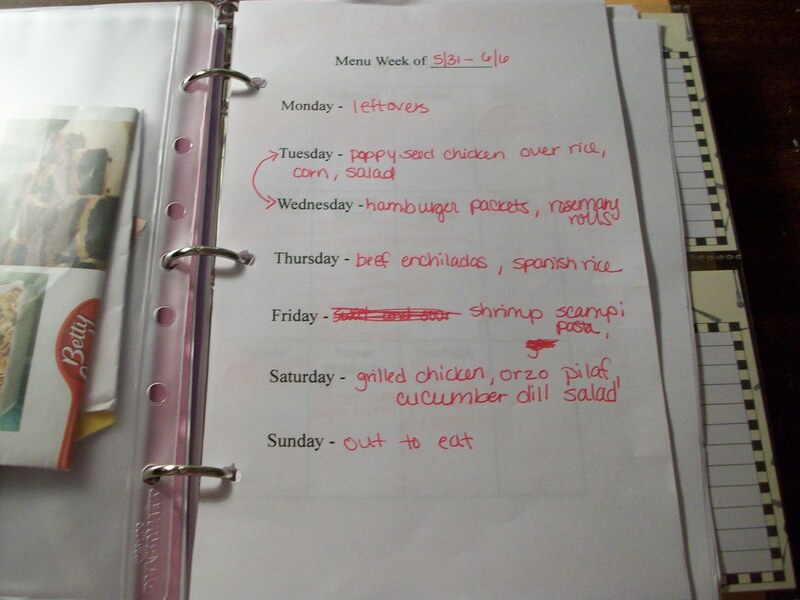 Behind that I have my recipes for the week. 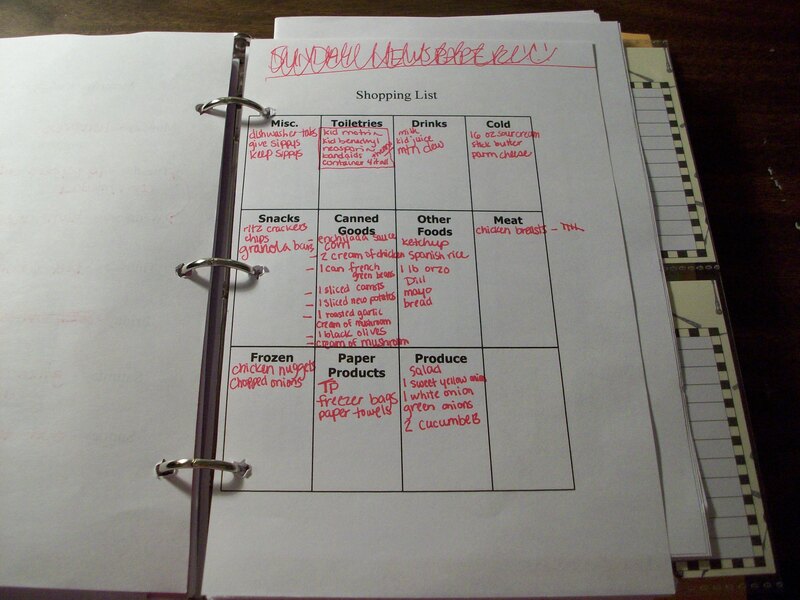 What’s great about this organizer, is that it’s the same size as the recipe book Lance got me for Christmas! So, I can just pull pages out of it, stick them in my organizer, and put them back where they go at the end of the week! 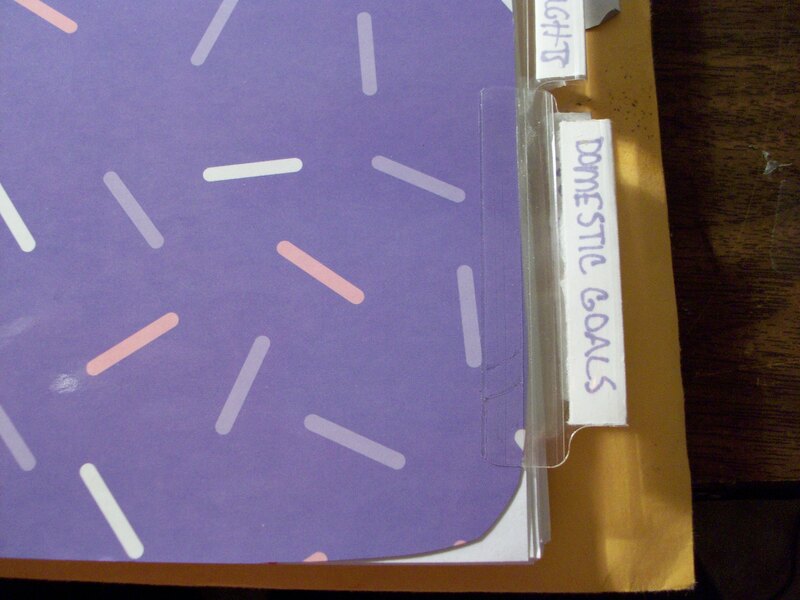 The next section is Domestic Goals. 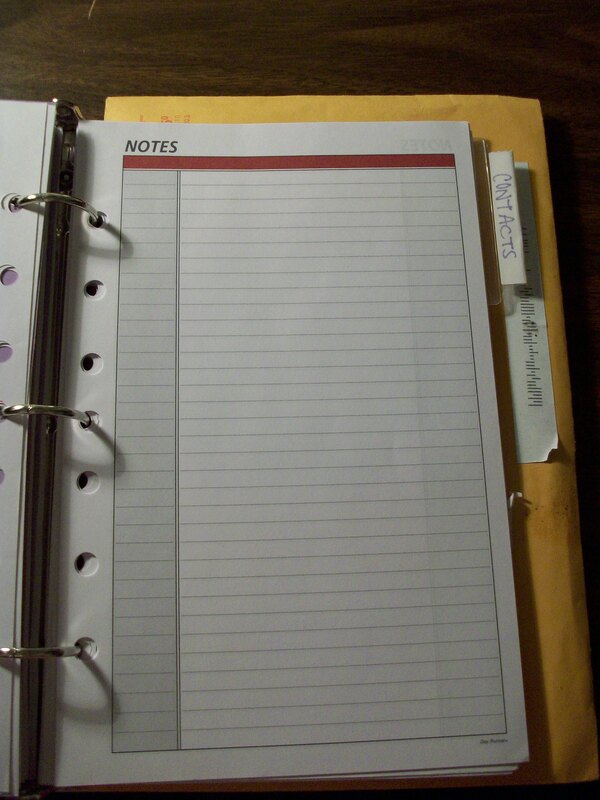 I have these blank sheets, where I write things that need to get done, but aren’t part of my weekly cleaning routine. Right now on my list I have things like: wash baseboards, clean out game closet, give cats a bath, etc. When something is accomplished, I just check it off! That check mark, for me, is like the equivalent of getting to put a sticker on a chart. The next section is my To-Do List. 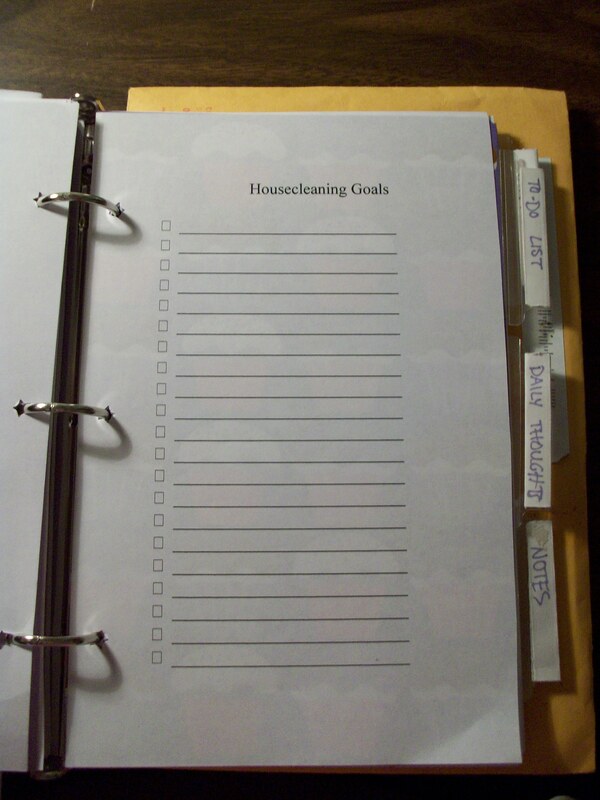 On these pages, I write stuff that I need to do that has nothing to do with housecleaning. Things that I’ve recently checked off are: make and freeze punch for the party, fill out invitations, clean out coupon pile, and put flea medicine on the cats. 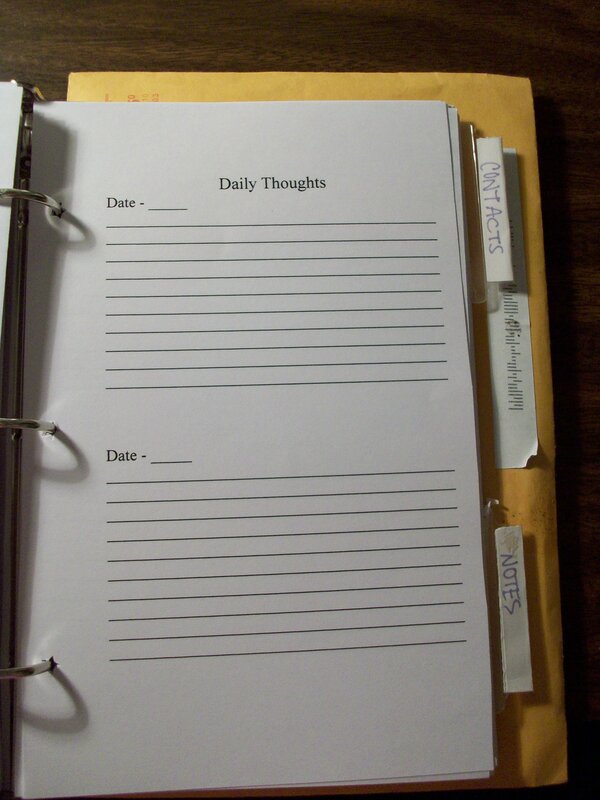 The next section is Daily Thoughts. I used to keep a journal. I loved being able to read back on my thoughts, see how problems were resolved, and get reminded of past hopes and dreams. For my life right now, I am way too busy to have time to journal. But I do miss that writing outlet. So, I made this Daily Thoughts section and it’s been wonderful! Since I use my organizer everyday to look up recipes and bills that are due, it’s no extra effort to turn to this section and just write down a few lines about my day. I’ve written in it 90% of the time since I made my organizer and I’m already enjoying reading back and reflecting on what I wrote! I have made a blank Notes page that will go in this section, but I haven’t printed any out yet, because I didn’t want to waste what I had left from when I used to use this binder in college. 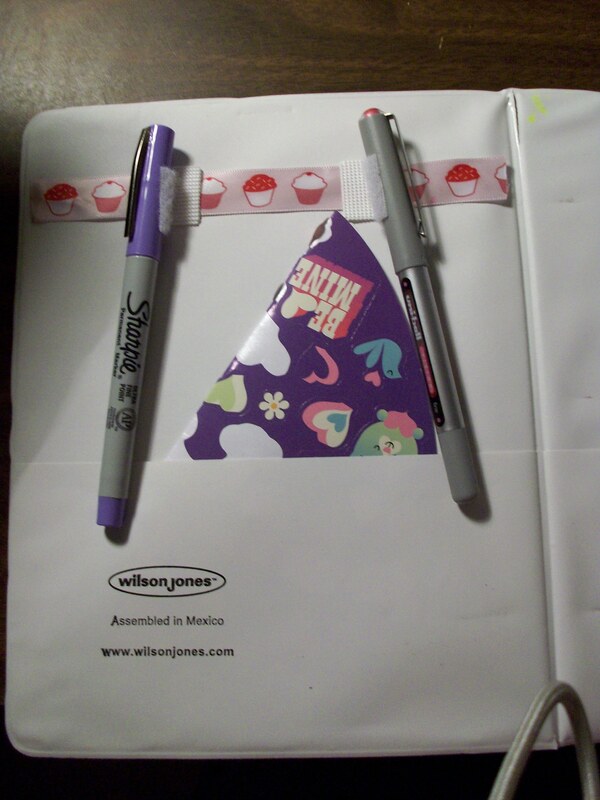 So for now, I’m using store-bought Notes pages. In this section, I just put random things like phone numbers, stuff related to my home daycare, or any other info that I don’t wanna forget. 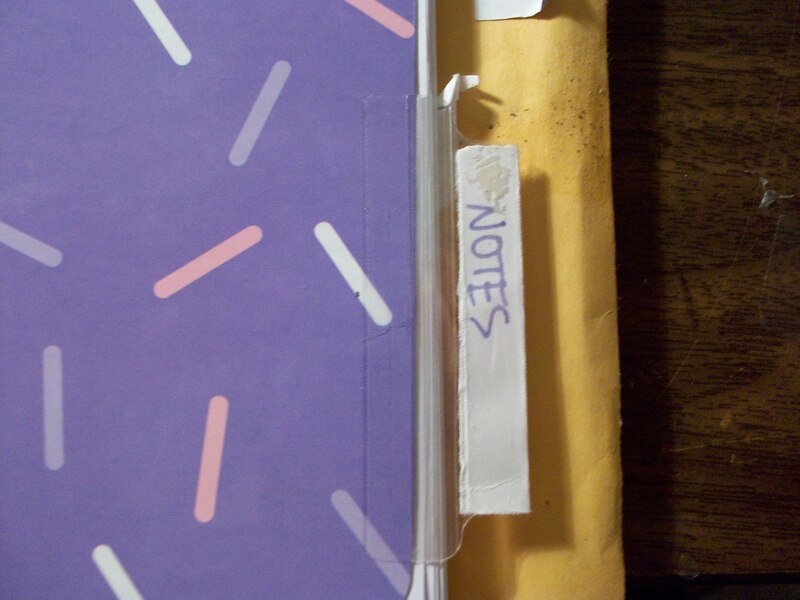 The back pocket just has another file folder piece inserted into it! And that, folks, is my organizer! Maybe a little bulky, but for this busy gal, it’s necessary! If anyone would like any of the templates you’ve seen here, to print out for your own organizer, leave me a comment with your email address and I would love to share the files with you! A few months ago, I had a realization! I realized that my house doesn’t have to be clean all at once. I realized that if it gets cleaned in little parts every day, that it will be mostly clean all the time. I can settle for mostly! When the chores are broken up into little bits like this they don’t seem so daunting and are so much easier to stay on top of! I have this list posted in my kitchen with Lance’s & my chores highlighted in two different colors. This way I don’t have to remind Lance about what needs to get done, he already knows! Sometimes it’s hard to keep up with the list, especially when we travel and have extra laundry and unpacking to deal with. But it’s a great guideline! I officially love the Sunday Paper! Lance went and bought it at Walmart for me this morning. This afternoon we spent moving boxes to our new apartment and unpacking them, so I wasn’t able to do much until tonight. The first of each month is a busy time for coupons! Not only do some stores like Publix, Walgreens, and CVS come out with monthly ads, favorite sites like Coupons.com have new coupons that come out monthly as well. I usually go ahead and print all of these coupons because they run out and I don’t want to risk missing a deal later. So, because of my new coupon organizer (which wasn’t completely finished), I have spent the last 3 hours organizing all of this. If you hit the back button when printing the coupon you can print 2 of them. I did and I’m going to get 2 of these items. For more Kroger deals go here. When you spend $10 (before coupons) you also receive a “Mystery” penny item, which happens to be a 4pk of Greenwise Bath Tissue. For more Publix deals go here. For more Rite Aid deals go here. For more Walgreens deals go here. For my CVS plans see this post. Nothing appealed to me at Target this week but to see their deals go here. I will post all the actual totals and savings once Lance is able to go shopping for all of it! It was great for what I needed and conveniently fit inside my purse. However, I soon found it hard to go through all the coupons, and have missed a couple great deals because I forgot I had coupons that applied. 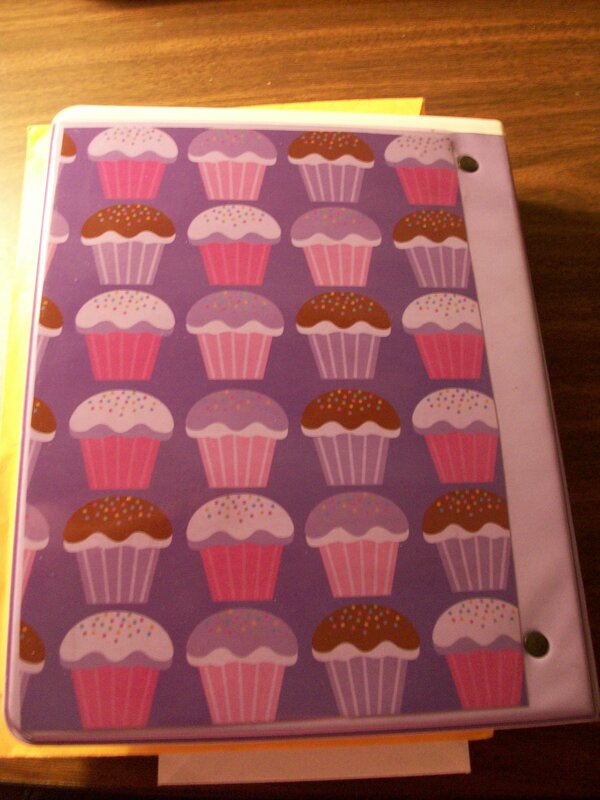 After looking at some other coupon lover’s blogs, I decided I needed a coupon binder. I’m glad I decided to go with this method! I have many sections like Food, Cleaning Supplies, Pet Supplies, Beverages, etc. Behind each section I have a sheet protector for that week’s ad and baseball card holders for coupons. Now, all I have to do it flip through the pages to find what I’m looking for! It’s great! Feel free to leave a comment and ask any further questions about how the coupons are organized! 2. Buy Sunday paper and plan out Walgreens and Kroger deals for the week. 3. Pack and take some boxes to the new apartment.